Whether you are back on the water in the southern hemisphere, hitting the paddle pool in the northern hemisphere, or still paddling in the balmy temperatures of the waters near the equator, you need the relentless focus and concentration to get the most out of your training and help you to finish in front. But how can you develop that mental focus to give you the edge needed to compete at a higher level? Mindfulness is a useful tool in dragon boating that can improve your performance in many ways. Definitions of mindfulness certainly vary. Described broadly, it is the practice of raising awareness or paying attention to what is going on in the present moment, without judgement, but rather with curiosity. Think back to your last practice session on the water. I’m willing to bet that you were able to leave your thoughts of work, family or relationships behind and focus solely on paddling for at least part, if not all of the practice. You were already practicing a bit of mindfulness without even being aware of it. Most mindfulness exercises start with focusing on your breath or becoming your breath as the foundation of the practice. You can then progressively move on to observe other sensations incorporating all the senses. Remember, mindfulness is the ability to pay attention to an experience in the moment without allowing your mind to drift into thoughts of the past or concerns about the future, or getting caught up in judgements about what’s going on. Mindfulness is a gentle practice that requires the observation of inner experience rather than excessive control over thoughts, physical sensations, and feelings. You can even try closing your eyes for short stretches to really develop that connection. Practicing this type of focus is not only beneficial for your physical performance, as you are able to individually target a specific aspect of your stroke and its growth, but it is also valuable for your mental toughness, which is a crucial part of the sport. At the 400 meter mark in the final race of the day, will you be able to summon the determination to push through the physical pain? Or will you submit to the discomfort and hope that the rest of the team picks up your slack? With races won and lost in hundredths or even thousandths of seconds, you can’t afford to not have the perseverance of a champion. When practicing mindfulness it is important to note that the mind WILL wander; that’s what minds do. However, when it does, one technique is to ask the mind gently to come back to the breath and continue with your intended exercise. 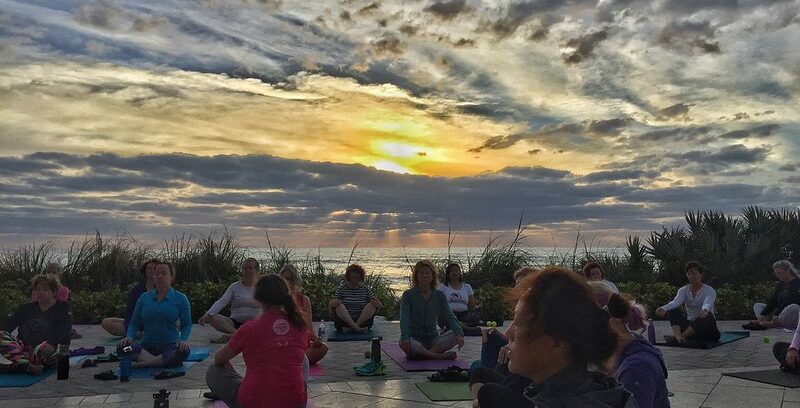 It is beneficial to incorporate and practice mindfulness off the water as well. For this you can use mindfulness apps, books, or online videos such as YouTube. Contributing author Dr. Yari Colon recommends the book The Mindful Athlete to help you begin your mindfulness practice. Mindfulness is an ancient practice derived from eastern contemplative philosophies adopted by the west decades ago. It has become one of the most researched psychological techniques available. Similarly, dragon boating is part of an ancient Chinese tradition more than 2,000 years old. These races commemorated group connectivity. Both mindfulness and dragon boating share collectivistic values or, simply put, the notion that the human condition is universal and we are all in this together. Sports psychology exists because of the undeniable fact that the psychosocial aspects of an athlete are as important as the biological-technical factors, meaning that the mind is just as important as the body. While many will attest to the importance of the psychological aspect of dragon boating, how to target this is less discussed. As a clinical psychologist and paddler, Yari Colon has found mindfulness to be a tool that facilitates psychological preparedness. She can attest to the fact that the practice of gaining awareness of thoughts, emotions, and sensations of the body increases the mind-body connection we strive for. Incorporating mindfulness during practice, before and after a race, has become an essential piece of her training. Both mindfulness and dragon boating increase your quality of life. Decades of research consistently demonstrate a relationship between mindfulness and valued living. According to Harvard Medical School, evidence shows that mindfulness can increase life enjoyment and the ability to cope with illness, and is likely to improve physical and emotional health. A study of breast cancer survivors funded by the National Institute of Health found statistical significance between dragon boating and health-related quality of life. 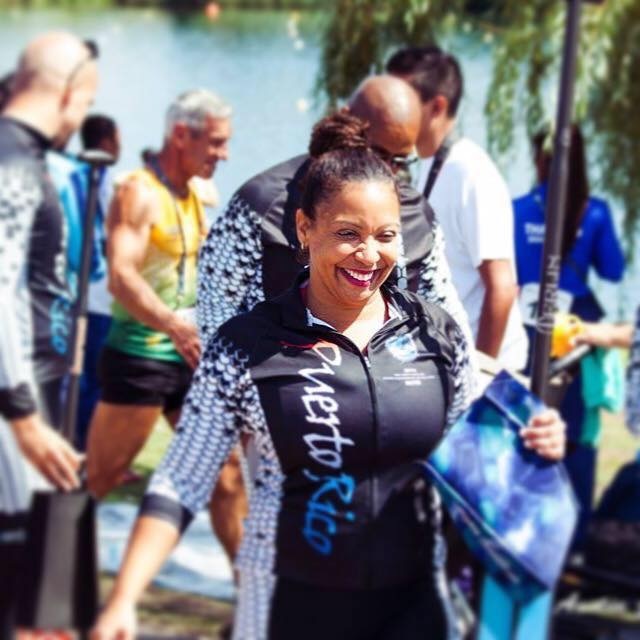 Participants reported that being part of a dragon boat team instilled in them feelings of camaraderie, a sense of renewed fitness and health, and an increase in both self-confidence and control of one’s life. Such feelings are certainly not limited to breast cancer survivors. All of us, whether we are survivors or not, can agree with such findings. We’ve all heard the saying “practice makes perfect.” This doesn’t just apply to dragon boating. The same is true for mindfulness! The more you practice mindfulness, the better you become at it. And the more you practice mindfulness, the better equipped you are to compete as an athlete. Mindfulness has been shown to help athletic performance by increasing mental fortitude and has been proven to be effective in helping athletes overcome both physical and emotional obstacles. Multiple books, and peer-reviewed articles have been written on how mindfulness improves mental health and enhances performance in work and sports. Phil Jackson, a successful basketball coach who lead Michael Jordan to six NBA championships and later coached the Lakers, describes in his book Sacred Hoops how mindfulness was an essential piece of the training towards success. Jackson worked with sports psychologist and mindfulness expert George Mumford to help the players cope with the pressures of high-stakes competition. The goal of Mumford’s work, as Jackson once explained, was to “build the muscle of the mind,” an often neglected aspect of competition. As you know, dragon boating is one of the most rapidly growing sports. 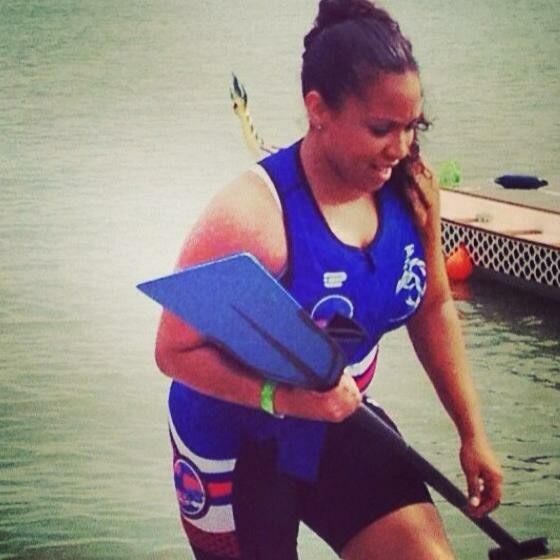 Teams are popping up everywhere, making it easy for new paddlers to try out the sport. And, aside from those with specific injuries or physical limitations, it is a sport that anyone can participate in. Just like dragon boating, mindfulness is all around us and fairly easy to begin practicing. Although ideally taught by someone who is certified, there are things we can do as individual paddlers to begin exploring and incorporating mindfulness into our daily lives and training. A simple internet search will provide books, resources, scripts and mobile applications that can be used to begin exploring this practice. However, mindfulness, like dragon boating, is not something that can be immediately mastered. Have patience, and expect a slow and steady progress as you grasp the concepts. Feel free to contact Yari Colon at dr.colontorres@gmail.com if you would like specific mindfulness scripts for dragon boaters. Contributing Author: Yari Colon, clinical psychologist.